Video game or electronic sports (eSports) have become a huge discussion point recently as their prize pools have grown and they have become featured more prominently in main stream media and traditional sports news sources so I don’t want to look at them in a generalized way as many, many have done before me. Instead I want to look at the history of the competitive real time strategy scene and where it stands now. But to look at where we are now let’s look, briefly, at their history. Real time strategy games are old when it comes to the age of video games, while they don’t have the age of arcade classics they are older than shooters and rose to popularity around the same time with Dune 2, Outpost and Warcraft: Orcs and Humans coming out in the same era as Doom. During the following decade RTS games dominated the PC market with the FPS. From the early 1990’s when we saw the rise of the RTS genre to the early 2000’s we saw about 200 games released from the titans under Blizzard (the Warcraft and Starcraft universes) to Westwood (Dune and Command and Conquer series) to Ensemble (Age of Empires and Age of Mythology) to smaller but established franchises (Stronghold and Crusader Kings). I won’t cover every great game during this period but it’s fair to say this was the heyday of the RTS genre, games sold well even if they weren’t from and established company or brand. Somewhat surprisingly the decline of the RTS style of game came with the rise of the Steam platform (for you stats heads out there I found a correlation but I have doubts about causation, just saying). Steam was officially released in 2003 and started its rise in 2005. The previous decade saw about 200 RTS games released but from 2005 to 2015 only about 125 have been released. I’m getting sidetracked again, I apologize, back to the eSports side of things. Prior to the release of Starcraft there really was no competitive RTS enviroment, or any genre outside of score climbing arcade games (side note again, please watch the documentary on the two greatest arcade competitors it’s amazing). While Westwood beat Blizzard into the RTS mass market with Dune 2 and continued to battle them for market share for years to come, they never really attempted to compete with Blizzard in the competitive scene, maybe for the same reason Blizzard initially didn’t support it, neither believed it mattered. However for some reason (honestly I don’t know I looked and researched and got no answer) Starcraft fans decided to create LAN tournaments with larger and larger prize pools from entry fees. That’s not to say fans of other games didn’t have tournaments, but none drew much in the way of prize pools. As Blizzard noticed this rise they watched and waited, with the release of Starcraft’s expansion Brood War they jumped in. The problem was for most of the developed world was internet was still in it’s growing stages and especially in the Americas it was inconsistent. The difference was in the small country of South Korea the government just installed bandwidth and made it cheap for everyone, which lead to what are now known as PC bangs, those places where you see dozens or hundreds of computers lined up. In 1999 enough of these existed in Korea that they needed games to install and Starcraft was a popular new title. 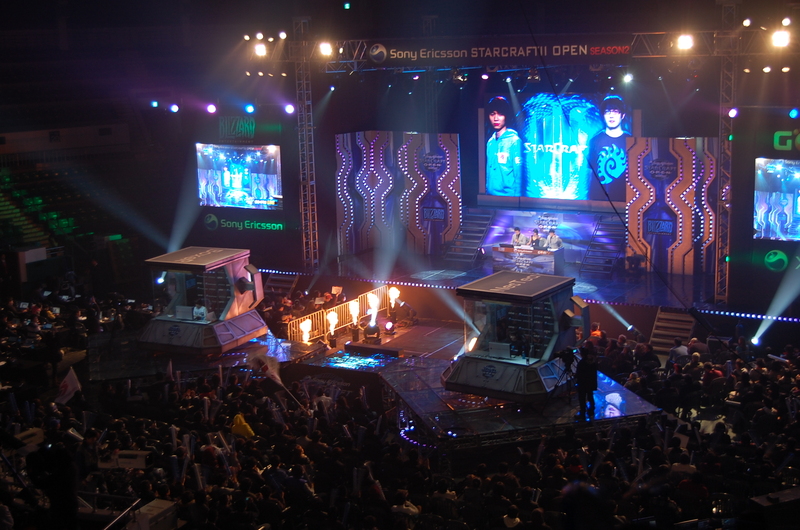 After that it’s fairly common knowledge, Starcraft overtook all other forms of entertainment in Korea outside of soccer, they had dedicated television channels, huge tournaments and with the support of Blizzard and many sponsors it became the largest electronic sport in the world, overtaking arcade and fighting games. For half a decade it was unchallenged. During this time few games had competitive scenes, Age of Empires 2 was one of the few when it released in 1999 but only managed to hold five major tournaments until it’s revival in the early 2010’s. But it wasn’t until Blizzard stepped up to bat again with Warcraft 3 in 2003 that there was a challenge to the throne. What quickly happened was that Blizzard found that while Starcraft was insanely popular in Korea it had few players and viewers outside the country. So instead of creating a competing game, Blizzard looked to Europe and North America for Warcraft 3’s eSports focus. Unlike in the late 1990’s when internet access was weak in those areas, now it was much improved and there was no inherent weakness of those markets. Warcraft 3 still saw success among Koreans but it was the first RTS game to help bridge that gap and increase in popularity among Westerners. Warcraft 3’s lifespan wasn’t as long or as dominant as Starcraft’s though for a few reasons, the two biggest being it was utterly dominated by one player (Moon who earned over 11% of all Warcraft 3 prize money) and the fact Blizzard announced the development of a sequel to Starcraft in 2007, four years after the release of Warcraft 3. While not as large Warcraft 3 is actually still competitive with an almost $100,000 tournament in 2014. During this time the other major RTS developers still continued to produce great games but saw little room for them in the competitive scene and just avoided it. When EA bought Westwood many suspected EA would use it’s muscle and money to push their newest Command and Conquer, under the title Generals, into the competitive scene but they did not. The greatest new RTS IP of the 2000’s, Company of Heroes, also has had some minor competitive events but due to the struggles of it’s publishers, Sega and THQ, it never had much public support. In 2007 everything changed, Blizzard announced Starcraft 2 was in development, Warcraft 3 and Starcraft professionals started preparing for that, but in this upheaval one game tried to seize on this. Released in 2007 World in Conflict came with the most impressive observer tools in any RTS to date and had the backing of it’s publisher (but not developer), the recently merged Activision Blizzard. 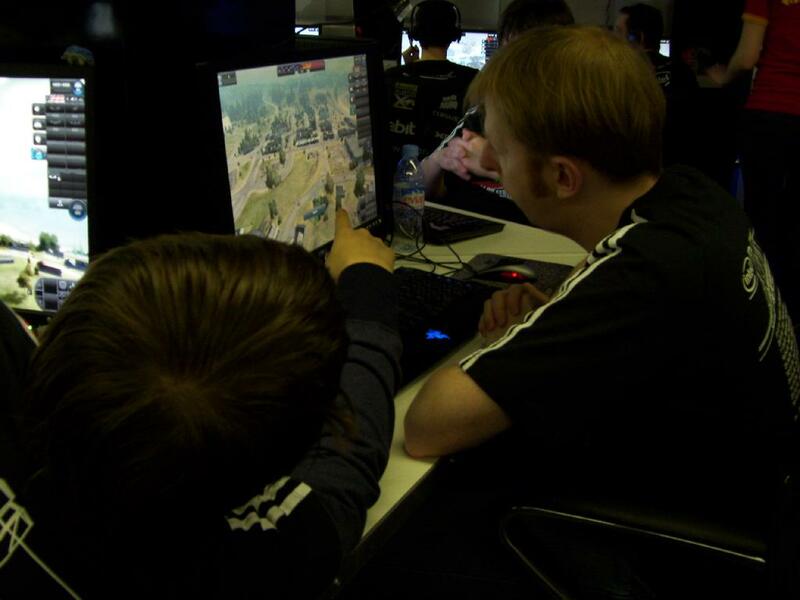 From 2007 to 2008 there were five events with $20,000 or more in prizes and had good publicity but developer Massive soon learned the downside of creating an RTS that differed so much from the traditional style, they were unable to attract pro players from other games and had to rely on home grown talent, which lead to a stale competitive enviroment. In the waning months of 2008 Massive was purchased by Ubisoft who saw little need for supporting the eSports aspect of World in Conflict and it’s scene died. To this day World in Conflict remains the 5th highest earning RTS eSport, which is kind of crazy considering it beat out non-participant household names like Westwood/EA, Petroglyph and Relic. Why the Heck isn’t Dawn of War 2 and eSport? Needless to say four years later Dawn of War 2 never took off the way he hoped, THQ went under and Relic is now completely owned by Sega and given a bit more freedom and support than before due to economic upswing for Sega. 2010 saw the massive release of Starcraft 2, it’s sales numbers were astronomical for the genre and it’s competitive scene matched the growth, now the transition between Starcraft/Warcraft 3 and Starcraft 2 wasn’t perfectly smooth but I recommend reading this great article specifically on Starcraft and Starcraft 2 in Korea and the politics, media and transition that went on for more info on that topic. 2011 saw SC2 reach it’s own and step out of it’s prequel’s shadow. The main reason for this was also the creation of Twitch.tv from the older model Justin.tv. Twitch smartly hitched it’s ride to Starcraft 2 and with no competition at the time Starcraft dominated with now household names like Sean “Day” Plott, Marcus “DjWHEAT” Graham, Mike Husky and John “TotalBiscuit” Bain. Since it’s release five years ago Starcraft 2 has held over 1,300 registered tournaments (compared to the 296 in over 10 years of Starcraft and Brood War) and has delivered over $17 million in prizes (compared to the $6.5 million from the original). Starcraft 2 saw it’s first expansion pack, Heart of the Swarm, be released in 2013 and it’s final expansion is set to be released on November 10th, 2015. During all of this, three games have tried to make edgeways into the competitive RTS field. The first is actually and old game we discussed earlier, Age of Empires 2. With it’s re-release on Steam and, then it’s remastered version, it has seen new life. It’s actually had more tournaments since 2012 than it had in it’s first 13 years combined and within the past year had the largest tournament in it’s history. Despite this resurgence, participation is fervent but small and viewership is negligible. The second game was Company of Heroes 2, like other Relic games it sold well and was well reviewed but lacked publisher support for tournaments, we do see local tournaments doing well and they receive relatively some viewership on Twitch. With consistent post-release content consistently coming out it still has an active player base and small tournaments still take place. The last game to try and run a successful RTS eSports is Grey Goo from developer Petroglyph, who formed from developers who left Westwood after it’s purchase by EA. Many of these developers worked on some of the classics and had done good work since their founding but wanted to bring RTS back to the style they helped make years and years ago. Grey Goo was the result of that and unlike the Westwood of the past they felt it could succeed as an eSport. For the major gaming convention circuit they tapped a number of pros from other games, like Chris “HuK” Loranger and Geoff “iNcontroL” Robinson, to advertise their game by playing show matches. Grey Goo also has the benefit of being a more traditional RTS, unlike World in Conflict or Company of Heroes, which made transitioning from other major titles, especially pros from Starcraft 2, much easier. HuK spent a number of days on his popular streams playing Grey Goo as a promotional tool for the game and the game enjoyed solid sales and reviews but struggled to live up to it’s developers goals. Currently it sits behind Starcraft 2 and Company of Heroes in active player base. Although the best attempts have been made by these games none really had much success in relation to eSports though Grey Goo and Company of Heroes are still young and may have hope. Today Starcraft 2 remains the beacon of RTS eSports hope, now Starcraft 2 is 5 years old and as expected it is aging. Starcraft 2 came out at an odd time, there was no competition among RTS games, or any genre, and it was the backbone of the young Twitch platform. But they also came out when eSports were new and the overall market worldwide was much smaller. The population of people watching eSports competitions now is massive compared to what is was in 2011, so while SC2 owned the market in 2011 it’s now an old dog when the market is much bigger. Now there is a running meme among the SC2 community of “daed game” due to it’s loss of market share to MOBA’s and the resurrection of competitive shooters but in reality it’s doing well on it’s own. Starcraft 2’s peak on Twitch came in late 2012 and early 2013 with decline in viewership in late 2013 and early 2014 (when the meme was born). But late last year with the announcement of the final Starcraft 2 expansion, Legacy of the Void, viewership has risen again with the top three Starcraft 2 events since 2013 being within the past 12 months. Think of it this way, while their viewership numbers are not going down, they are losing market share due to the market growing but Starcraft 2 remaining steady. While many see the collapse of the RTS genre, and there may be some truth to that, they often say the same thing about the competitive RTS field but the opposite holds true. Of all prize money made by RTS players over 73% came within the past eight years. 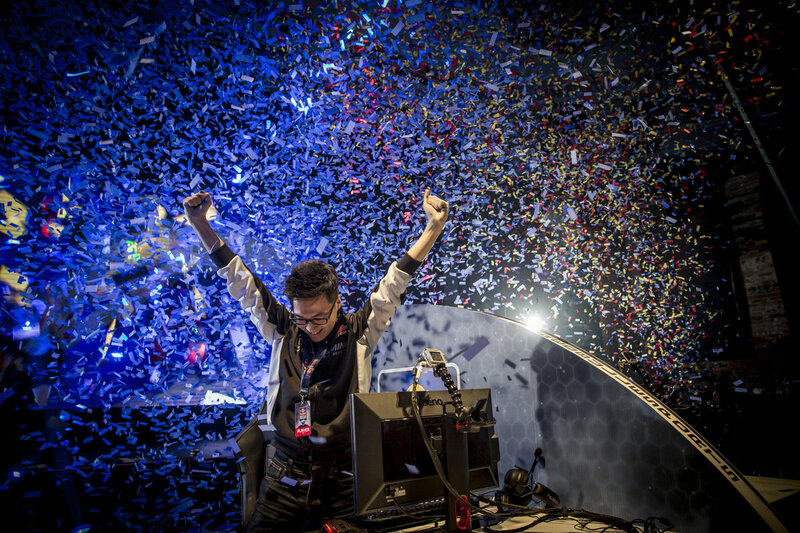 Starcraft’s prize pools are actually growing year over year, Grey Goo is trying to work it’s way in and Age of Empires 2 had it’s largest tournament ever this year, players are still seen as status symbols and fan boys and girls scream during the game. It’s still a one game world out there for RTS eSports and they don’t compare as well to the top eSports but they aren’t shrinking. In the end the state of competitive RTS games is the same it’s always been, it’s all about Blizzard’s games and they are very much alive. Hey, I’ve been a fan of your blog for a little over a month and I was wondering if I could post a little rant (for lack of a better word) in the comments here and get your thoughts? Maybe you could do a feature on it from your own perspective? It’s not angry or mean-spirited, it’s just my thoughts on this whole notion I’m seeing in fanbases for big RTSes lately about how ‘the genre’s dead’ because the old big franchises aren’t doing so well lately. I forgot to click the ‘notify me of new comments/post’ button, so placeholder just to get that going. Sorry for the DP :/. The following comment is my opinion only. RTS eSports are still going strong. They have a huge fanbase. Here’s the “weird” thing about competitive RTS vs other esports. RTS esports have lot of viewers that don’t play the games anymore. RTS at the highest level is damn impressive to watch. I has a correlation to watching physically superior athletes on the “sportsball” field. You no longer play every day, but you still watch and cheer. Other eSports are mostly a marketing mechanic where you watch people doing amazing things in MOBAs, Fighting or FPS games and then you jump into those game and try to do that same thing yourself. RTS genre is different in that many fans are content simply watching and not necessarily jumping into to play the moment the eSport match is over. That’s a key differentiator to the state of RTS as a genere in eSports. You could be right though I have no statistics to prove one way or another about player base vs viewers. I do agree from a skill standpoint RTS players show skill few other top players of other genres can show and in that sense it does have that tie to traditional sports media.